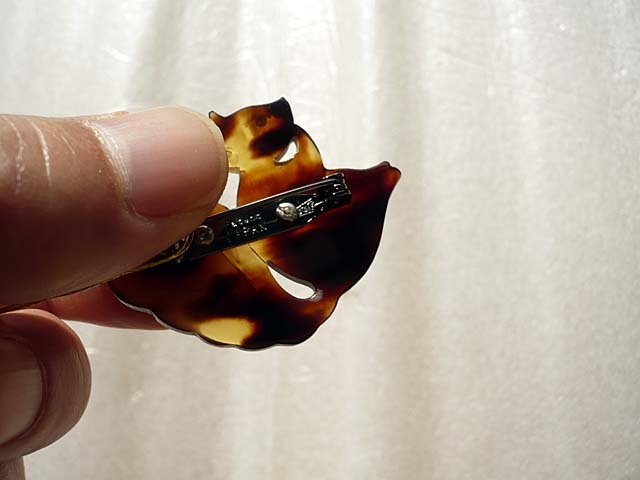 This is a tortoise shell brooch made by Yabuki Oboe, a Japanese tortoise shell artisan. 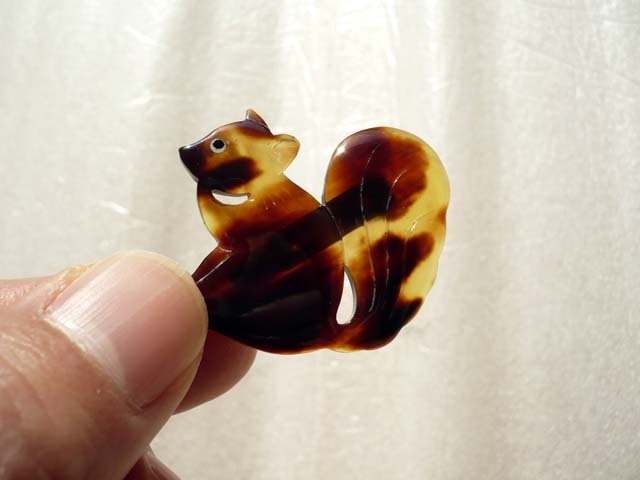 The brooch in the shape of squirrel is really adorable. Mr. Yabuki has been stuck with artwork of tortoiseshell for a long time. 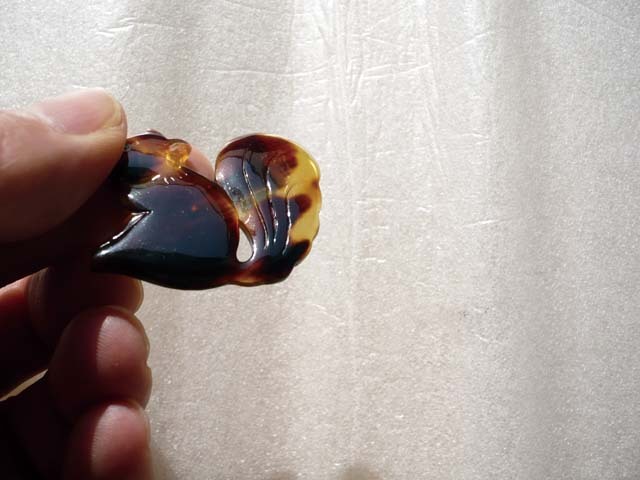 Tortoiseshell artwork originally came from Portugal and Netherlands in the beginning of Edo era, its technique and tradition have been passed down by national artisans. They had made comb and obi tie mainly in the past, but currently they have made accessories such as pendant. Please look at this beautiful brooch and others in our online store.